Mackinac Island, Michigan (CNN) – Former Massachusetts Gov. Mitt Romney won an overwhelming victory over Texas Gov. Rick Perry in a straw poll of attendees to a major Michigan Republican conference. Of 681 votes cast in this weekend’s poll, Romney captured 346 votes or 51 percent, according to results announced Sunday. Perry won 114 votes or 16.8 percent of the ballots. "It confirms what a lot of people thought that Romney is the best known candidate and is the one to beat,” state Republican chairman Bobby Schostak told reporters Sunday. 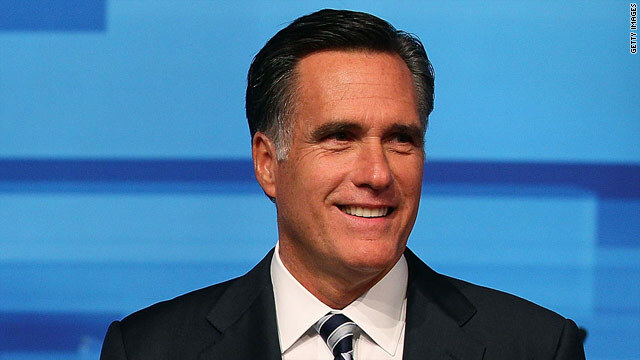 Romney was expected to do well because he is a native of Michigan, has a large network of supporters in the state and won the primary here in 2008. He has already campaigned in the state several times, including spending Saturday here on the resort island greeting attendees and meeting with activists and donors. Romney and Perry spoke on Saturday touting their records to the more than 1,800 attendees of the Mackinac Republican Leadership Conference—a major gathering that draws key GOP supporters, activists, party officials and donors both from Michigan and across the nation. Neither spoke of the straw poll, and there were no overt efforts by any of the campaigns to lobby for votes. Romney’s campaign has said it would not participate in any straw polls this season because of the amount of resources they often require. There were some Romney volunteers on the street handing out campaign literature as conference attendees passed. Schostak said Perry told him he intends to be competitive in Michigan during the primary fight and is working to build a network of supporters and donors. “He is going to play,” Schostak told CNN. Perry also had meetings with donors and activists on Saturday while on the island. No other presidential contender spoke at the conference, and no other candidate reached double digits in the straw poll. When the attendees were asked who would be their top choice for the vice presidential nomination, 481 - or 23 percent - said Florida Sen. Marco Rubio. The straw poll was sponsored by National Journal’s Hotline newsletter and the National Association of Home Builders. You can follow Kevin Bohn on Twitter @KevinBohnCNN. Not necessarily my ideal condidate. But I can vote for Romney. Perry and Bachmann NEVER! CNN: Why are yoy wasting electrons on this insignificant result? A self proclaimed "home town boy" wins a popularity contest among a group of 681 people. Well, duh! If Romney had LOST, that might have meaning & relevance. This, not so much. I would probably hurt myself laughing if Herman Cain won the Republican nomination. Who would the tea party vote for? Thank you so much. That is what all of us CNN readers want to know, who UnitdWeStnd will vote for. We're also dying to know what you had for breakfast and your favorite color. Why hasn't he won in Florida if at all he is the best candidate? Winning in Michigan is like playing football in a home ground where there are a lot to cheer! Wonderful! Michigan is guaranteed to be a blue state again come 2012. Romney claimed that Michigan was in a one state recession back in 2008 and he kept playing himself up as the "son of Michigan". I never recalled this man running for any state office here throughout his entire political career. If he cared for Michigan he would have put his political roots here. Thank goodness Perry has showen on a national lelvel what a blundering fool he is. The media is fianally being forced to end its love affair with him. Can you image Perry standing at the UN reporesenting the USA. Cringe! I appreciate Michelle for bringing Perry's poor decisions to the surface. As of today Mitt is my candidate. Two straw poll losses in as many days, looks like the rising star has "flamed" out! Apparently, Michigan Republicans still like Romney even though Romney said that we should let Detroit go bankrupt.